An excellent variety of passionfruit that has been well proven over the years. 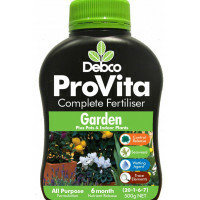 Plant in full sun and give regular moisture during the growing season for an abundant crop of delicious passionfruit which is a variety of climbing plants. 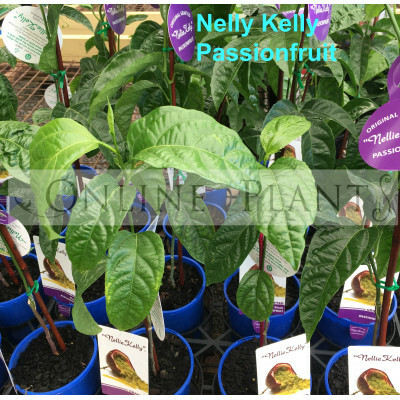 Grafted black Passionfruit Nellie Kellie is a prolific producer of purple skinned medium sized fruit. Oval-shaped fruit is juicy and tangy, becoming sweeter if allowed to stay on the vines to ripen until wrinkled in summer. Grafted variety, so plants are less susceptible to disease and able to withstand light frosts. Ideal for cooler climates as long as adequate protection from the cold is given. Self pollinating. Buy Nelly Kelly Passionfruit plants from Online Plants - leading plant nursery Melbourne offering Australian wide delivery. We deliver to all Melbourne, Sydney, Adelaide, Canberra and Brisbane, metropolitan and regional areas.